Hallelujah for DANCE! And Hallelujah for that adjective "NEW." 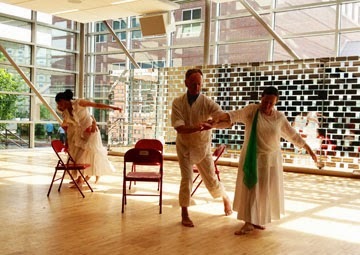 When put together, NEW DANCE offers us new ways of understanding movement and ourselves. The Decatur Arts Festival 2014 brought my city a rich hour-long performance titled, "Breaking New Ground: New Dance at the Decatur Arts Festival." 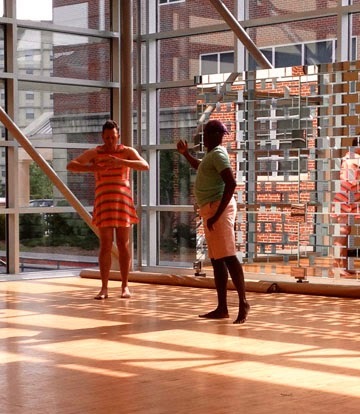 Beacon Dance, collaborating with the Decatur Arts Festival to provide this performance, is dedicated to furthering social justice and the protection of the natural world while developing an appreciation of contemporary dance. 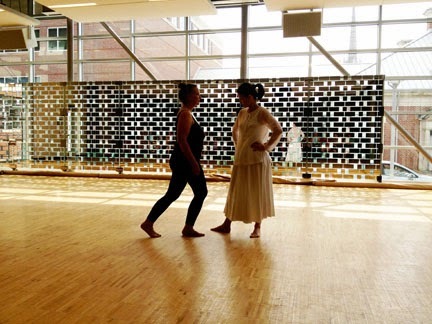 As I have deepened my own appreciation for moving creatively in the two years, I have also grown curious about dance as it is occurring in my environment. What does it mean when Beacon Dance makes the statement that it uses dance to further social justice? Does it mean being FREE TO BE WHO WE ARE--Each and every one of us? Let's explore what occurred in the hour-long performance this Memorial Day weekend in Decatur at the end of May 2014. Hallelujah for differences! 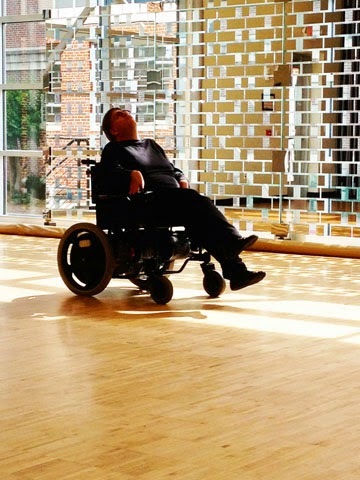 Hallelujah for individuality and for what each one of has to contribute in the language of creative movement. What is NEW DANCE? Perhaps one answer is that it is what you and I make it for ourselves. I believe we might all benefit from dancing a NEW DANCE on behalf of ourselves and the world every day! That's Coffee With Hallelujah! SOUL BLOG with me and tell me what you think of creative movement. How often do you dance and experiment with new ways of moving? What do you understand about dance as shown here in these images? To quote the Bee Gees' song "You should be dancing...yeah." I'm not sure if I can suss out the meaning of the dance piece via individual photos. That sort of the thing with dance, it's a compilation of movements, but they are lovrly images and I do get the spirit of the dance. As you already know, I am a great audience member for dance performances, but I don't dance much and when I do people question my motives. 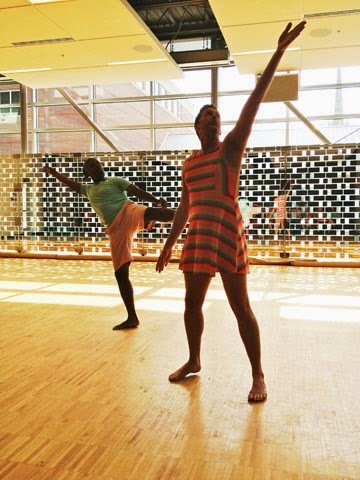 The first time I saw a man dressed in a dress during a dance performance it was Mark Morris dancing the part of Dido while wearing a sarong in his spectacular rendition of "Dido and Aeneas." Took me all of a second to forget about what he was wearing and to lose myself completely in the performance. As for dancing with chairs and love, a few years ago I saw Doug Elkin do a two person piece about love, marriage etc... called "Home." 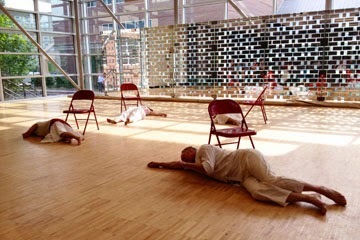 So much of the dancers' relationship to each other was conveyed in the positioning and movement of the chair. Lastly, as it appears I'm droning on, I once saw a performance where before it started the choreographer came out and said "This piece isn't about anything." Frankly, it was a relief to hear that. 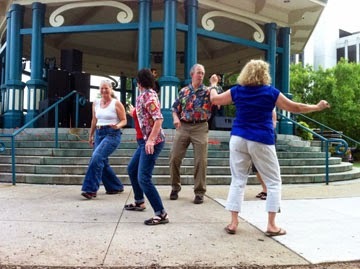 So Hallelujah for dance and Hallelujah that you live where it is freely available to go see. I read your words and savor them--especially the permission to let a dance be what it is and "this piece isn't about anything." We take in so much information all the time with the idea that we must do something with it. Why not let the experience be an "end" in itself? Thank you! Yes Darlene! It was fun and exciting! So stimulating!